Is Coco Martin planning to court Julia Montes? 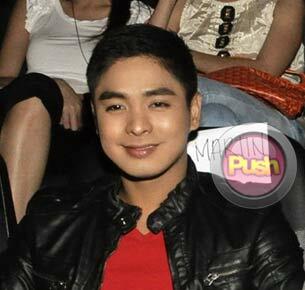 Coco Martin says he is not in a rush to get a love life. Coco Martin once again bagged a Best Actor trophy for his performance in the movie Noy, this time from the 13th PASADO (Pampelikulang Samahan ng mga Dalubguro) Awards which was held last March 30. Just two weeks ago, he was also named Best Actor for his performance for Noy by the 9th Gawad Tanglaw Awards. With these awards plus his currently top-rating teleserye Minsan Lang Kita Iibigin, the 29-year-old Kapampangan is said to be one of the most acclaimed young actors of his generation.